Are you managing ALL of your Customer's devices? Could there be a device on the Network causing extra utilization of Bandwidth during prime working hours? 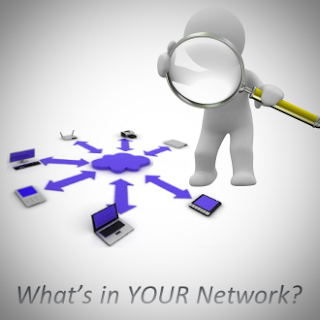 Head over to the Networks tab and ensure that you have the Network under management! The "Networks" tab within MAX Remote Management's console is formally known as "Active Discovery". By having simply one agent on the Network, you can choose to 'Manage a new network'. This allows the one agent to serve as a discovery device, where it can look for any network connected appliances. Routers, switches, network printers, servers, laptops, desktops, mobile devices; the list is endless! If it has an IP address and MAC address, it will be located. Since we use roughly 14 discovery methods, no device should be missed. You may be wondering: "What is the benefit of using this?". This tool can be used to not only discover these systems, but can also aid in deploying agents. When a Windows or Mac system is located, you can right click and push an agent. A real time saver! In addition, Active Discovery is a great tool when reviewing connection variables. Perhaps there has been a recent spike in network utilization during the workday. By using this feature and looking at 'Connection History', you may see that your customer just picked up a new Laptop and forgot to tell you. Now, you can go ahead and ensure this device (and the network you are managing) is protected. Did your Server's Failed Login Attempts just go out the roof? After reviewing the IP source in the event details, you can see what device is attempting these connections and determine if they were appropriate attempts. 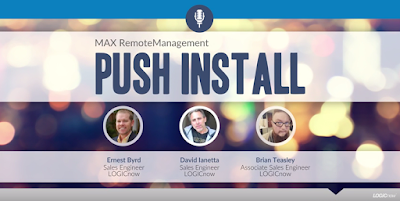 The possibilities are endless with this feature, and as we continue to develop the Remote Management platform new items may be arriving within here. Additionally, if you would like to go over this material in a call, reach out to your Sales Rep and setup a TechWalk. Active Discovery documentation can be found here: Active Discovery, help.